The ADC Global Blockchain Summit. In collaboration with the South Australian Government, we are excited to deliver this important Summit to realise the enormous opportunities presented by blockchain. This is an essential event for entrepreneurs and businesses who want to understand and leverage the potential of blockchain and public sector officials, therefore on behalf of the ADC Forum, I am pleased to invite your participation as a delegate, or through a range of sponsorship and exhibition opportunities. The ADC Global Blockchain Summit brings Australian business leaders together with world leading entrepreneurs, financiers, regulators, researchers and innovators to focus on strategies and practical applications for business growth via blockchain technologies and systems. The Summit’s key topics will intersect business, public policy and the regulatory environment. Sessions and workshops, to be presented by a range of high-calibre and influential leaders from Australia and internationally, will explore the Summit theme Distributed Ledgers & Digital Assets: Confronting A Revolution of Change. ADC Forum is undertaking this initiative in collaboration with ADCA, Australia’s blockchain industry association who will participate in both the design of the event program and in attracting speakers and participants through its extensive network in the blockchain community. 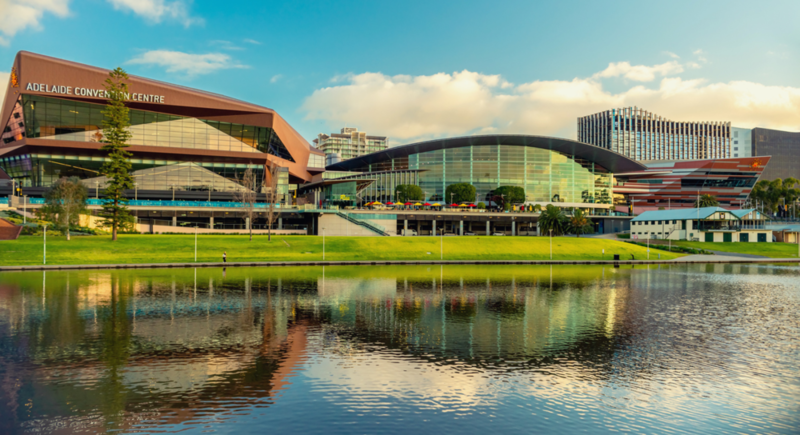 The Summit will be held primarily in the magnificent Adelaide Convention Centre, and participants will also be introduced to the new Lot Fourteen precinct – Australia’s first creation and innovation neighbourhood under development by the Government of South Australia. I look forward to welcoming you in Adelaide at the ADC Global Blockchain Summit.